A lovely flock of ladies. To me, the Beastman fluff feels very backed-down, and with the direction GW has gone (see for reference: Necrons) I don’t imagine they’ll change things up. The way Beastmen are presented is…sanitized. I don’t revel in sexual violence, by any means, but given the satyr that serves as the background for the creature (and the centaurs as well) and the near-complete absence of female alternatives, it seems that the lads have a pretty obvious method of reproduction. Harpies provide something of an alternative to this. It’s weird that they’d also work with Dark Elves, but they can be a force to bring a moderately less rapey vibe to the army, or at least balance out the sexual aggression–Mika the Wolf Nomad had his own memorable interaction with a harpy, complete with a baby! 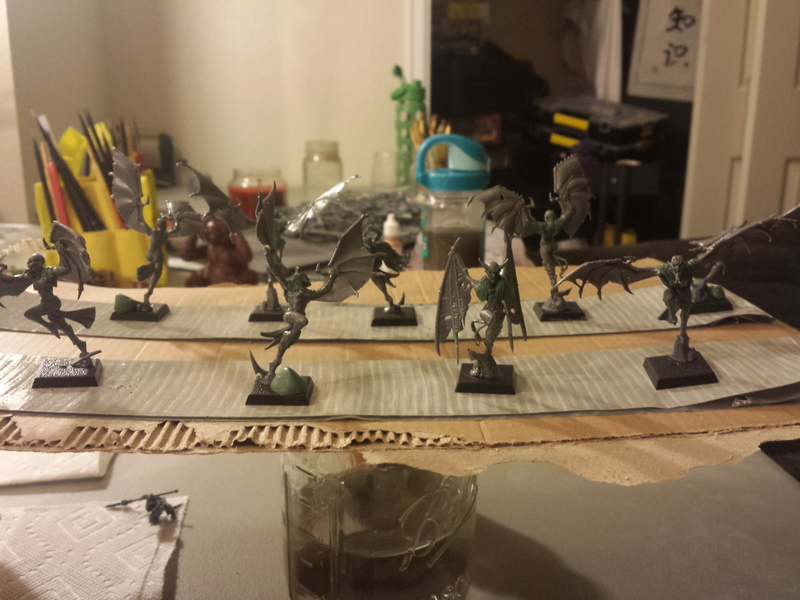 Plus, particularly when I started putting my Beastmen together and wasn’t yet in possession of a Skull Cannon (or the ability to actually run one), Harpies serve as fast-moving artillery hunters and backlane harassers. I need these things, and now that I understand you get up to 50% Special choices in an army (my first many lists were built at just 25%) I should be able to throw at least one cadre into almost any list. I’m the Bat…wait, I’m going to use this joke in another post. 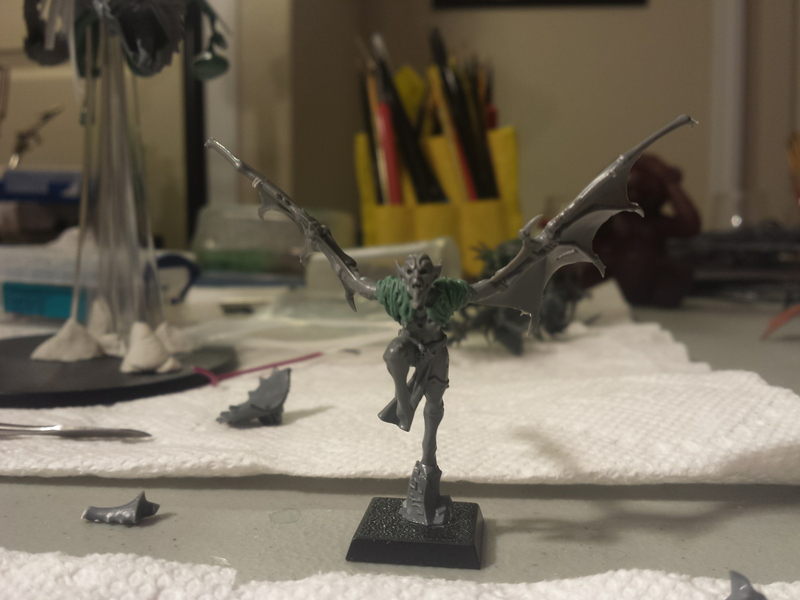 …while another, which I think of as my Victoria’s Secret Harpy, is probably how I’ll build future iterations, because she cuts things down to a single box purchase alongside some greenstuff. 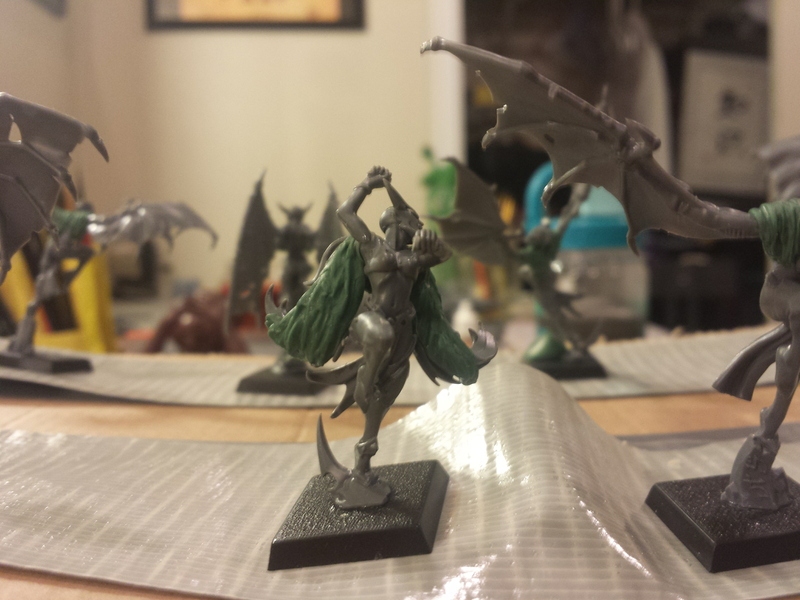 Her wings are just the Witch Elf hair, which comes in two pieces, and thus makes a flowing, impactful wingspan. I think she’ll be a lot of fun to paint, and will come out much brighter than the typical ladies. 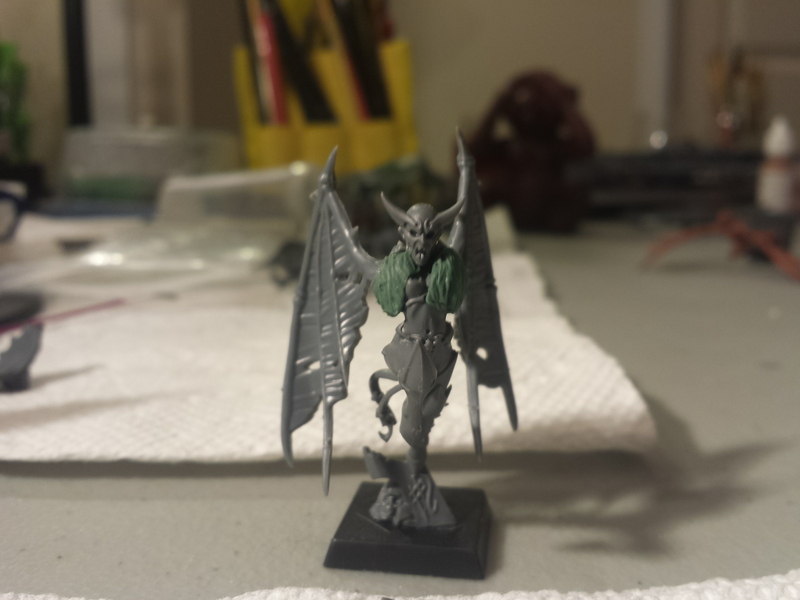 Posted in Hobby, Warhammer.Tagged Beastmen, Conversions, Warhammer, Warhammer Fantasy.